Start with yourself and work backwards, write down information like birthdate, birthplace, marriage date, parent’s names, sibling’s names, jobs you’ve had, schools you’ve attended, etc. Then do the same thing with your parents, grandparents, great-grandparents and so on. Write down whatever you know. Pick an ancestor or family line to research, I think by narrowing down to a particular question you want to try to find out about an ancestor, for example, did my great grandfather own land in Baldwin County, Alabama? Or was my great great grandmother’s family related to Madam CJ Walker? 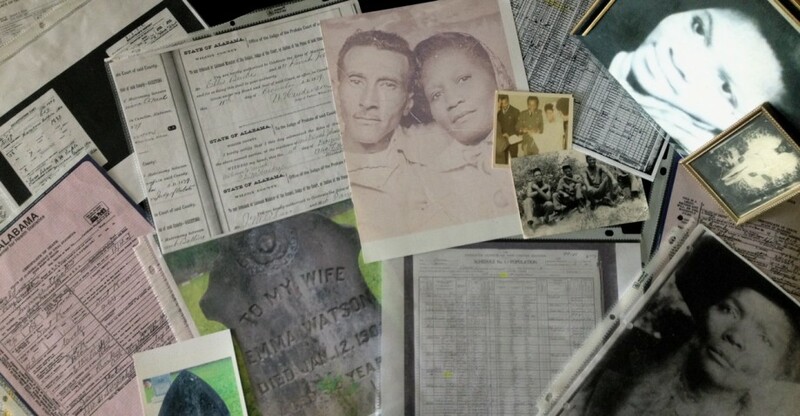 Contact relatives and ask them about your ancestor or family line you are researching. Even if you don’t think it’s important or doesn’t right, write it down anyway. Whatever information you can get can possibly help you while researching. Let’s fill out some forms! Filling out forms such as pedigree charts and family group sheets can help keep the names, dates, and locations for your family members organized as well as display relationship of family members. With all the information you’ve gathered from the steps from above, you can now look for your ancestor or family line in the United States Federal and State Census. Currently, in the U.S. we have the 1790 to 1940 United States Federal Census available to search for our family members.